Patel Travels Contact Number, Contact Details, Information, Mobile Number, and More details given here. Patel Travels Contact Number, Contact Details, Information, Mobile Number, and More details given here. 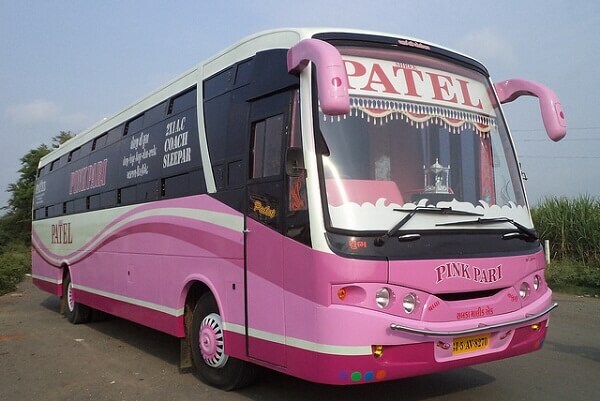 Patel Tours and Travels is one of the leading tours and travels companies in India especially covering Gujarat, Maharashtra, and other parts of India. The company is widely engaged in cities, Mumbai, Ahmedabad, Rajkot, Pune, Baroda (Vadodara), Bhuj, Jamnagar, Gandhidham, and many others. You can book your bus / volvo ticket online at reasonable rate. In this article, we have compiled a list of contact information of Patel Travels, such as mobile number, office address, contact number, helpline number, complaint number, head office phone number, head office address, and much more. So, let’s see! Bapunagar Ahmedabad Office Address: Shop No.22,Hiren Chamber, Thakkarnagar Char Rasta, Bapunagar, Ahmedabad. Satellite Ahmedabad Office Address: Manas Complex, Jodhpur Char Rasta, Satellite, Ahmedabad. Rajkot Office Address: Kamdhenu Complex Moti Tanki Chowk, Rajkot. Big Bazaar Rajkot Office Address: Nr.Big Bazar, 150 Ft.Ring Road, Rajkot. Gandhinagar Office Address: Sabar Travels, Opp. Rajeshree Cinema Sector – 20. Ankleshwar Office Address: Yogi Tours And Travels, Shop No.-5 Sunpla- 9 Shopping Centre, Behind GIDC Bus Stop, Gwaliya Cross Road. Adipur Office Address: Ganesh travels, Shop No.130 Jay Ambe Complex, Near Old S.T. Bus Stand, Adipur. New Bus Stand Adipur Office Address: Shop No. 30 Arbuda Nagar, Opp. New S.T. Bus Stand, Adipur. Baroda Office Address: Harikrupa Building, Nr.Pandya Bridge, Chhani Road, Baroda. VIP Road Baroda Office Address: 4,Amitnagar, App.Reliance Fresh, VIP Road, Baroda. Bhuj Office Address: Opp.V.D.High School, Bhuj. RTO Circle Bhuj Office Address: Near RTO Circle, Opp.Vagad 2 Chowishi. Baldiya Office Address: Patel Electric, Near Baldiya Choki, Baldiya. Dayapar Office Address: Shreeji Mobile, Dayapar Main Road, Dayapar. Jamnagar Office Address: Shop No.5 Himani Apartment, Pancheshwar Tower, Jamnagar. Reliance Jamnagar Office Address: Om Shree Travels, Opp.Reliance Medical Center, Gate, Nr.Trupti Hotel, Meghpar, Reliance. Kera Office Address: Advenchar Tours And Travels, Mundra Road, Near ICICI Bank Kera. Kutiyana Office Address: Raghav Travels, Nr. Bus stop, Kutiyana. Naranpur Office Address: Shriji Travels, Meghpar Road, Naranpar Papdi, Naranpur. Porbandar Office Address: Ram Krupa Travels, Harish Cinema, Porbandar. Sukhpar Office Address: Patel Travels Agency, Main Road Shukhpar. Talala Office Address: Ganesh Travels, Opp. Mayur Bhajiya, Talala. Upleta Office Address: Madharam Travels, Nr. Upleta Bus Stop. 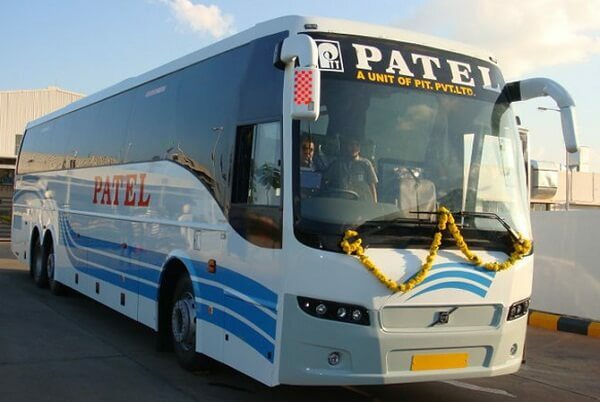 We hope that the details on Patel Travels Contact Number, Contact Details, Information, Mobile Number, and More will be useful to all people and passengers of Patel Travels.